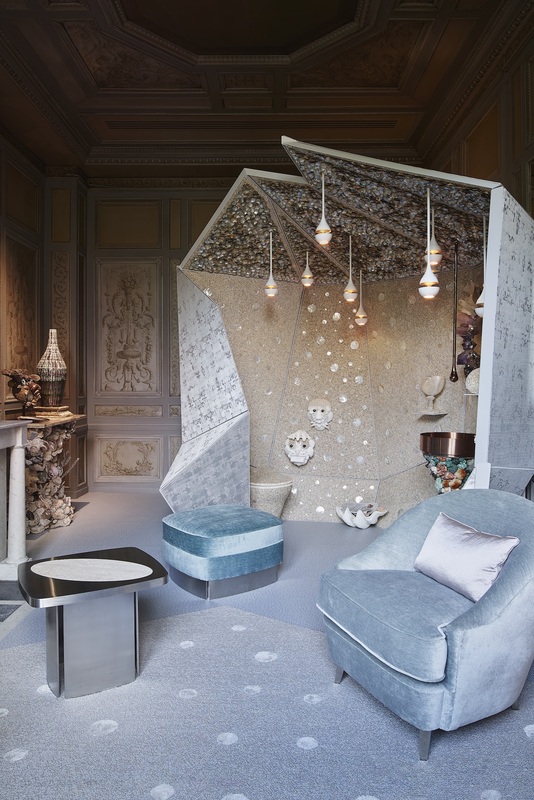 The cult magazine for lifestyle & design celebrates craftsmanship through its annual design exhibition at Monnaie de Paris. 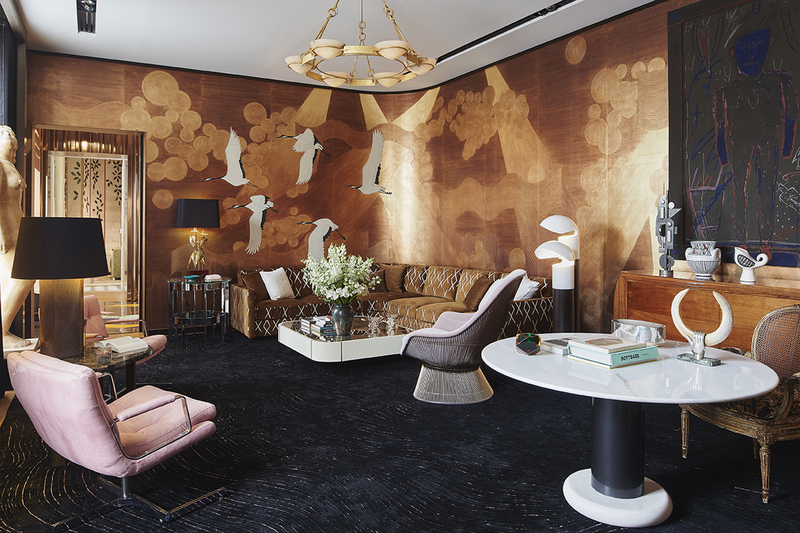 Sometimes it’s hard to believe that the finely curated spaces pictured in the glossy pages of interior design magazines actually exist. 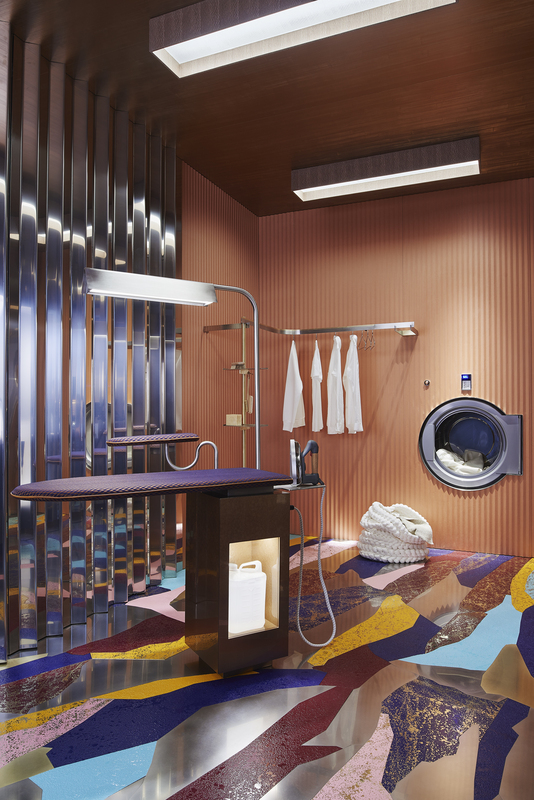 With the aim of turning the myth into reality and give to the audience a concrete experience of being inside of one of those unique living spaces, since 8 years AD Magazine organizes a design exhibition in which each interior designer is asked to create and personalize a space of an imaginary house. This year edition celebrates crafstmanship by focusing on primal materials, essential element in the highly crafted field of interior decor. 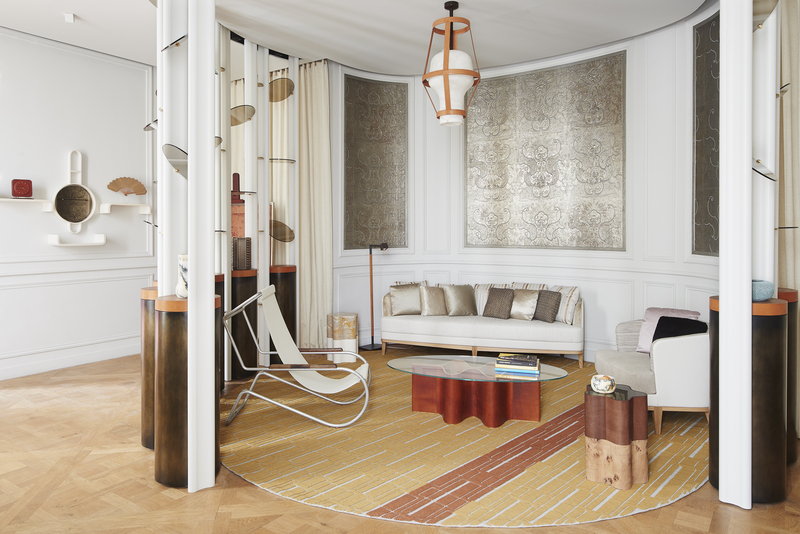 With the help of their team of skilled artisans, the designers breath new life into wood, leather, ceramic and hand-painted wallpaper, refinining and innovating thier original qualities. 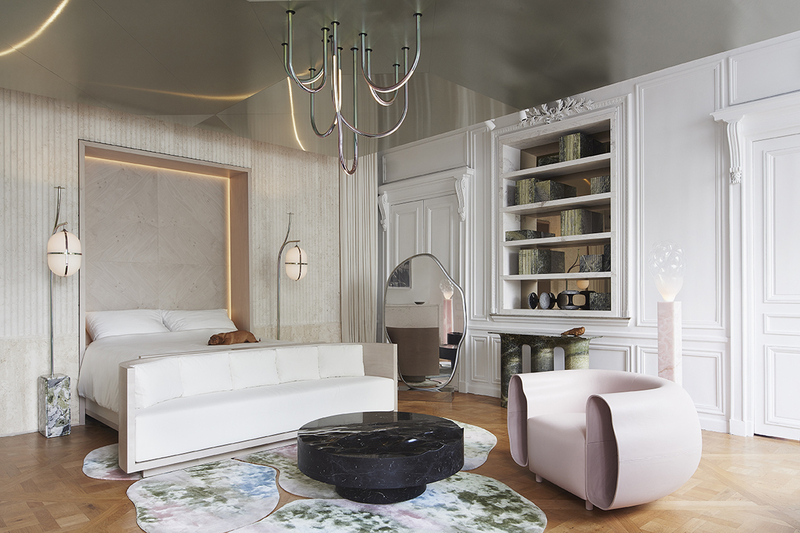 Mathieu Lehanneur used travertine, pink and green marbles to create a Marble Room where ancient Roman and Greek-inspired sculpture shine under an ultramodern lighting system and seamlessly blend with graphite tables and experimental chairs. 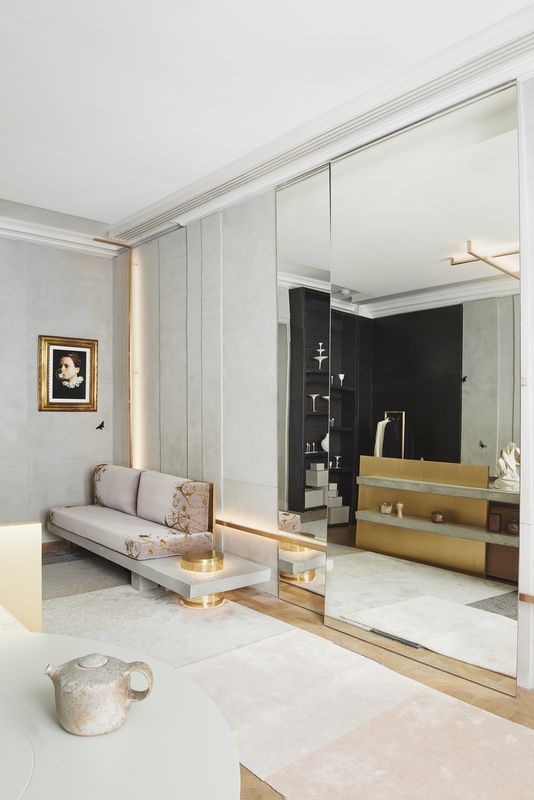 Connecting plastic creativity and technology, Lehanneur creates an intimate space that has futuristic appeal balanced with a timeless elegance. 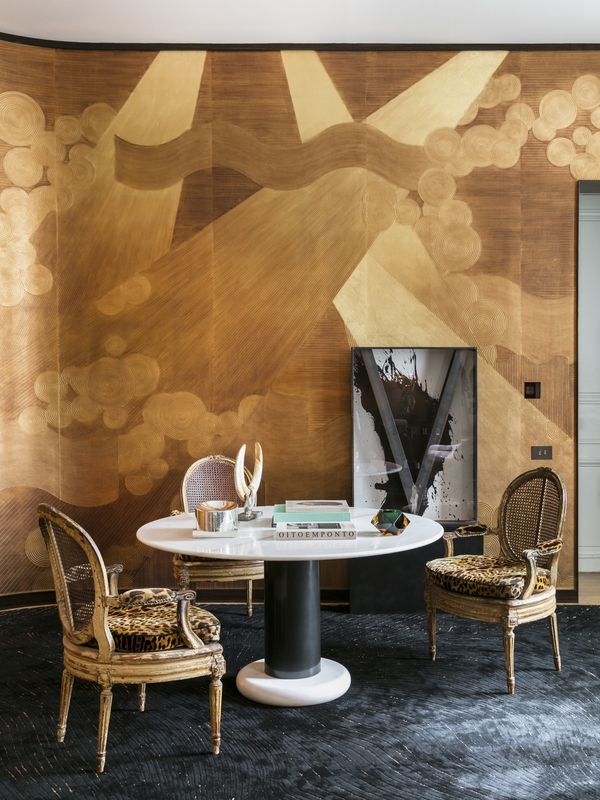 Teaming up with renowned French Maison de Gournay, expert in the realization of hand-painted wallpapers, textiles and porcelain, Oitemponto presents an exclusive wallpaper entirely handmade in the Gournay‘s atelier upon Artur Miranda an Jacques Bec‘s drawings. 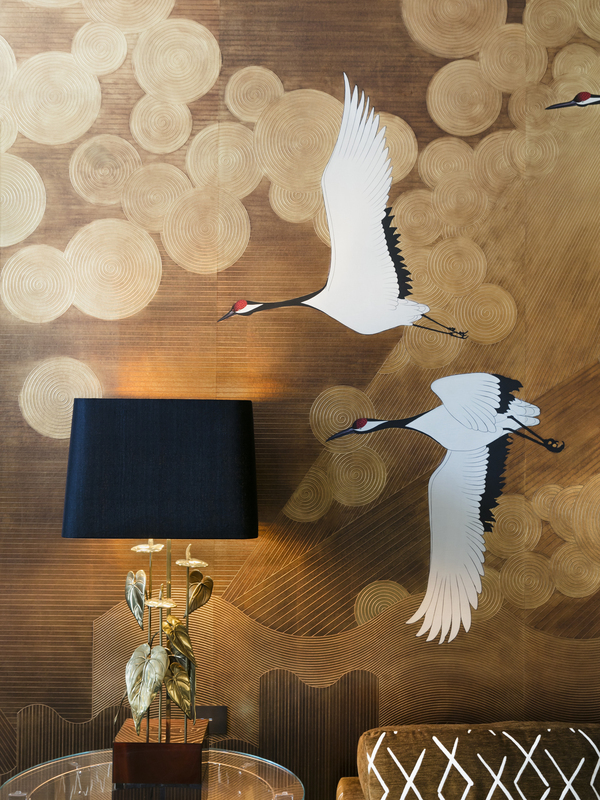 The Japanese-inspired motifs of this luxurious wallpaper create the perfect decor for an Art Decò boudoir, conceived as an intimate and sophisticated reception room where different styles harmoniously meet. 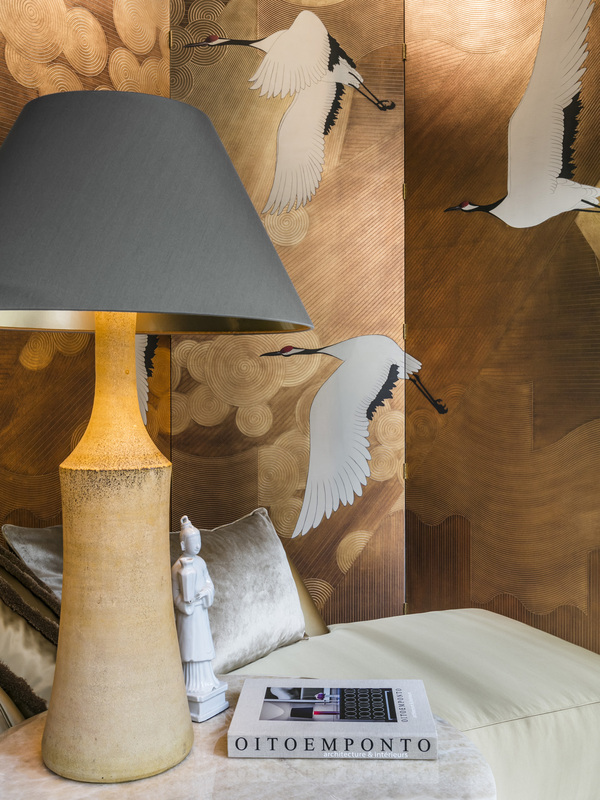 Showcased on a sumptuous ivory laques screen specifically made for the occasion by Oitemponto, the wallpaper is on display also at de Gournay‘s showroom in the Saint Germain district. Also Daniel Suduca and Thierry Mérillou focus on walls in a different yet equally elaborate way. 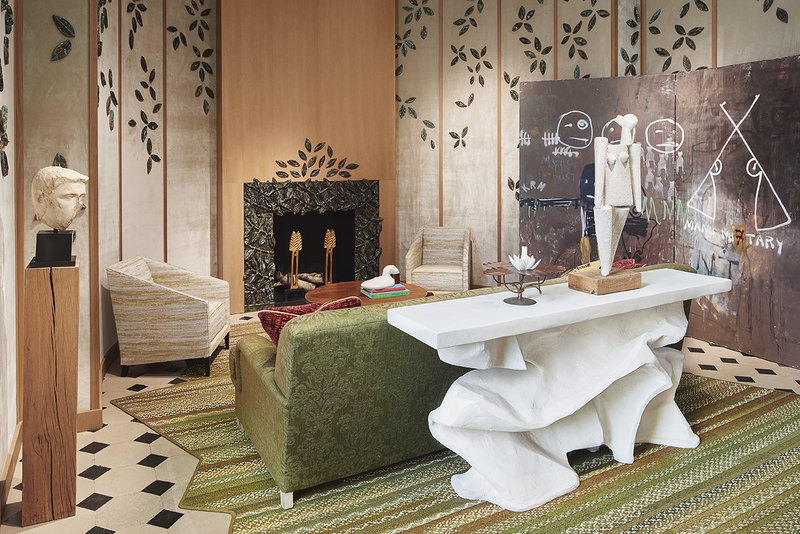 The Toulouse-based designers created a special tapestry embroidered with ceramic elements like a couture dress, that envelops a livingroom furnished with pieces in Neoclassical style. 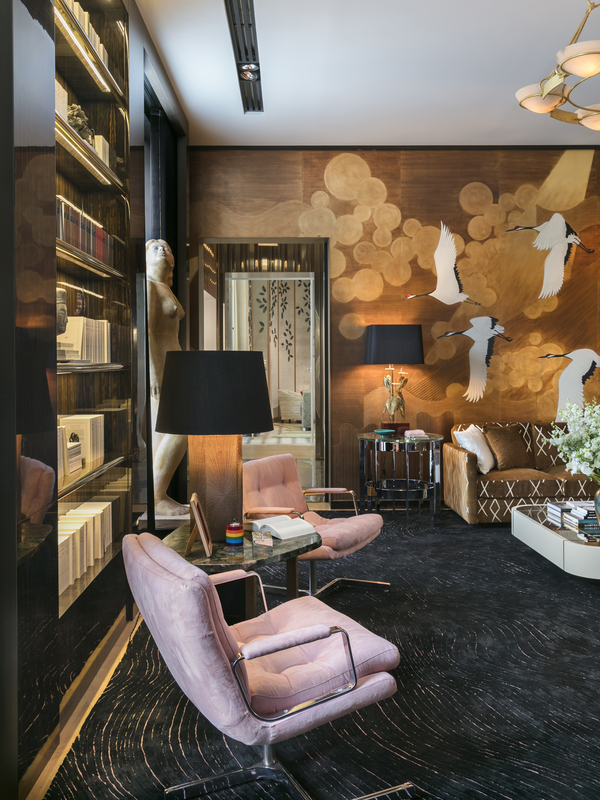 The Belle Epoque opulence and its fascination with exotic countries and rare manufacts comes back to life inside Gert Voorjans eclectic walk-in closet. 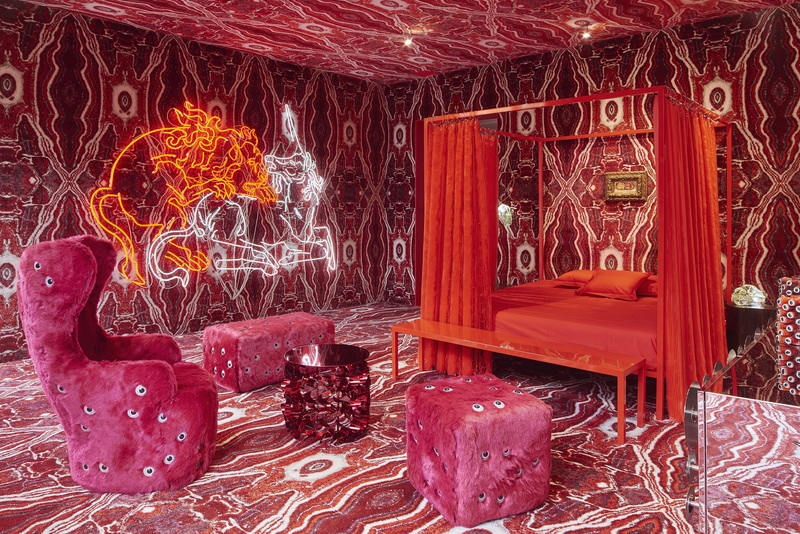 With playful extravaganza Thomas Broog turns a ladies powder room into a marine rock cave entirely carved in mother of pearl and embellished with shells, while Maurizio Galante and Tal Lancman create a psychedelic bedroom in pure surrealist spirit. 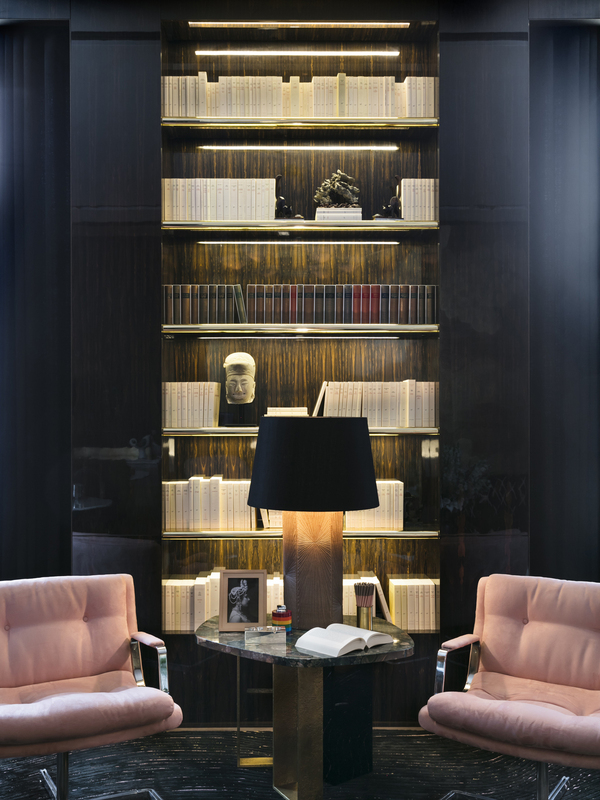 Featuring different styles and personalities AD Interieurs 2017 catches the trends and different nounaces that define the aesthetic sensibility of our era.